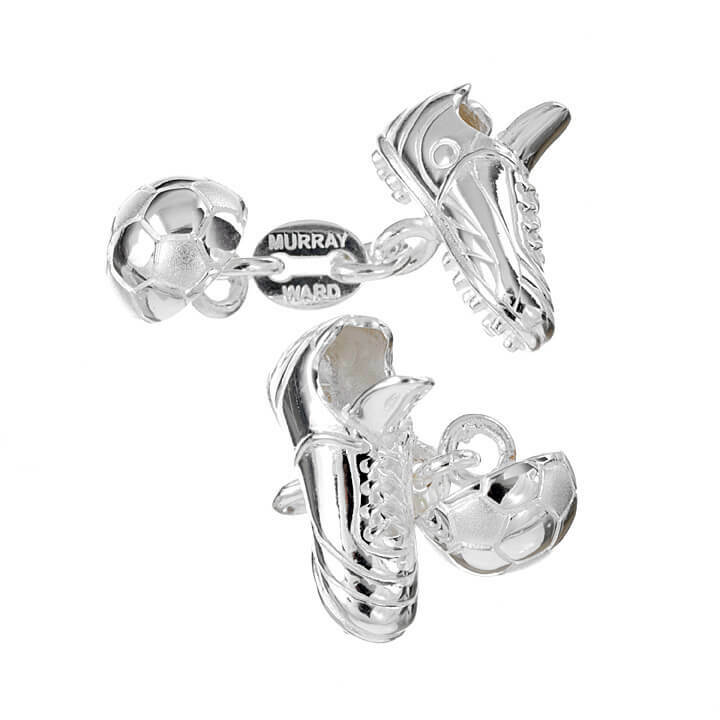 This unique and stunning pair of Football and Boot cufflinks are a perfect gift for any football fan. Like the sport, these Sterling Silver cufflinks are sure to never go out of fashion. Also available in 9CT GOLD £495. Phone or email to enquire.